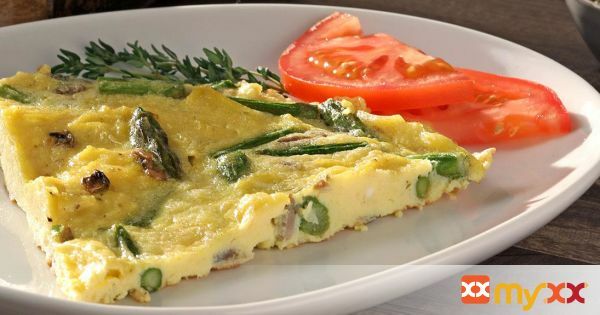 Egg frittata with mushrooms and asparagus. 1. Preheat oven to broil. In medium size bowl, using a fork, blend eggs, cheese, pepper, and salt.